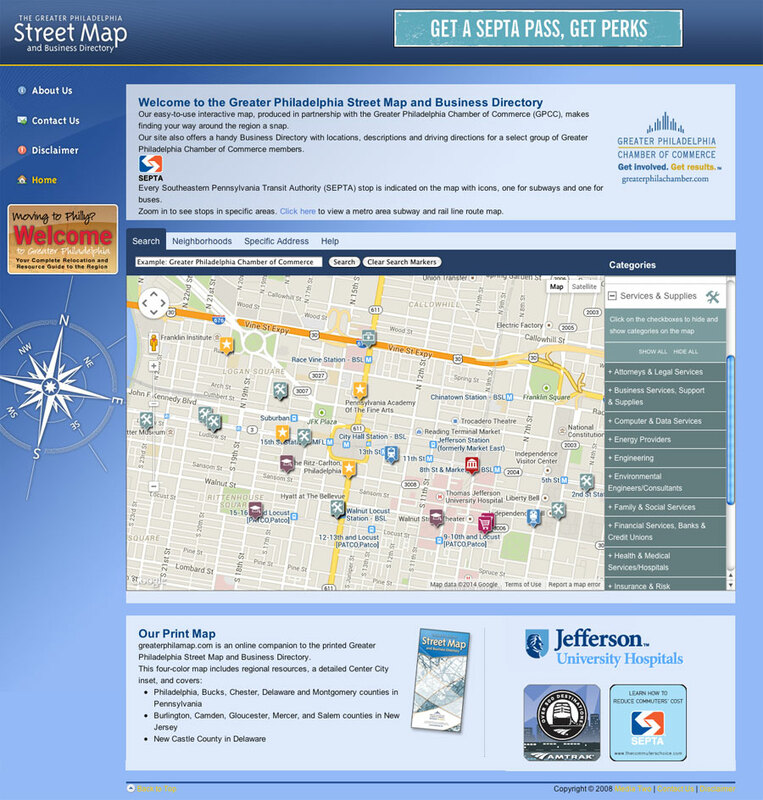 The Greater Philadelphia Street Map is the online companion to the printed map. This microsite promotes the Greater Philadelphia Chamber of Commerce's members. It included a back-end interface for adding Points of Interest.